Ethiopia is facing environmental and poverty challenges, and urgently needs effective management of its environmental resources. Much of the Ethiopian landscape has been significantly altered and reshaped by centuries of human activities, and three-quarters of the rural population is living on degraded land. Over the past two decades the country has seen rapid economic and population growth and unparalleled land use change. This book explores the challenges of sustaining the resource base while fuelling the economy and providing for a growing population that is greatly dependent on natural resources for income and livelihoods. Adopting a political ecology perspective, this book comprehensively examines human impacts on the environment in Ethiopia, defining the environment both in terms of the quantity and quality of renewable and non-renewable natural resources. With high levels of economic production and consumption also come unintended side effects: waste discharges, emissions of pollutants, and industrial effluents. These pollutants can degrade the quality of water, air, land, and forests as well as harm the health of people, animals, and other living organisms if untreated or disposed of improperly. 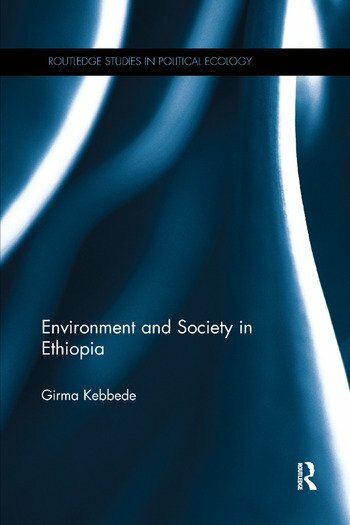 This book demonstrates how the relationship between society and environment is inherently and delicately interwoven, providing an account of Ethiopia’s current environment and natural resource base and future considerations for environmentally sustainable development. Girma Kebbede is Professor of Geography and Environmental Studies at Mount Holyoke College, South Hadley, Massachusetts, USA.